Lavendon is located midway between Northampton and Bedford on the A428. 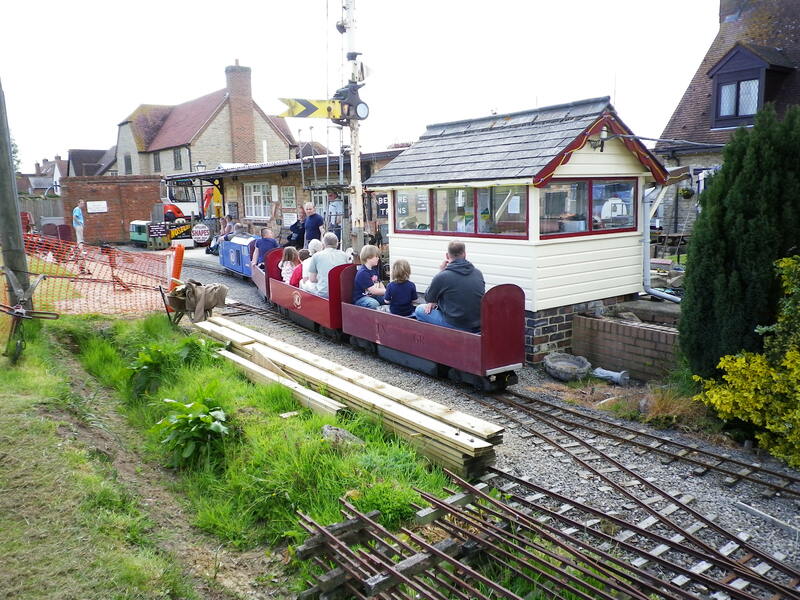 Lavendon Narrow Gauge Railway (LNGR) is situated in Harrold Road, Lavendon, Bucks, some 3 miles from Olney. It is open to the public on published days and available for private functions such as children’s birthday parties. In addition to the narrow gauge railway, there is a static display of aircraft cockpits, bygones and railway memorabilia. Why not pay us a visit – we would love to see you! Check out the gallery web links shown elsewhere on this page! Train rides will be available on all dates shown below from 11:00am. Don’t forget to ask about the Children’s Birthday Parties. Open Day at the LNGR usually runs from 11am to 5pm. When do you sell tickets for the santa Christmas trips? The LNGR is taking bookings now. Please ring the LNGR on 01234 712653 to make a booking. It’s certainly improved and expanded since my first visit many years ago, please continue your brilliant and hard work. Thank you Brian! I will pass on your much appreciated comments to the LNGR. What are the fares for the santa days ? Apologies Dan for taking a long time to reply whilst I found out the answer. The cost per adult or child is £8 each which includes refreshments and a gift for children. Hi Lucy. Sorry I’m afraid I don’t know about the current booking situation. Please give Tony or Pam Collins (the Railway people) a call on 01234 712653 to make a booking on the railway for your preferred day. What are the days you are open in 2018 as i would like to see the cockpits ? Unfortunately I haven’t yet received the programme for the LNGR events in 2018, but as soon as I get it I shall post the details on this web site. Can i confirm that the aircraft cockpits are accessable when you have an open day ? Sorry for the delay again. I understand that the aircraft will be visible in their barn/hanger on all the open days, but access to the cockpits themselves is not immediately practical. However, Tony Collins is planning to have a ‘open cockpit day’ on one of the Open Days when some of the aircraft will be pulled out and made accessible by ladder. Nevertheless, if you give Tony a ring beforehand on the number given on the page above (01234 712653) then he will do what he can to advise or accommodate a more personalised visit and/or let you know when the open cockpit day might take place. Hope that helps. Sorry i forgot to reply ! I would only like to see the cockpits no needto sit in them. Thank you for your reply. Hi, do you do anything for Xmas at all? I believe the Lavendon Railway has now discontinued running Santa Specials, but you may wish to check this out with the railway on 01234 712653. Hello, I’m enquiring for children’s birthdays, what are the rates?? Many thanks or your enquiry. It would be best if you talk to the railway operators about what you have in mind so that they can give you an accurate answer. Pam or Tony Collins can be contacted on 01234 712653. Hi Kerry. Unfortunately the Christmas Santa rides are no longer being held – the last train ran for Xmas 2017. However, train rides are still available on the Open Days during the rest of the year 2019 – see the website for dates. Sorry – the next Open Day for the LNGR is 12 May 2019.